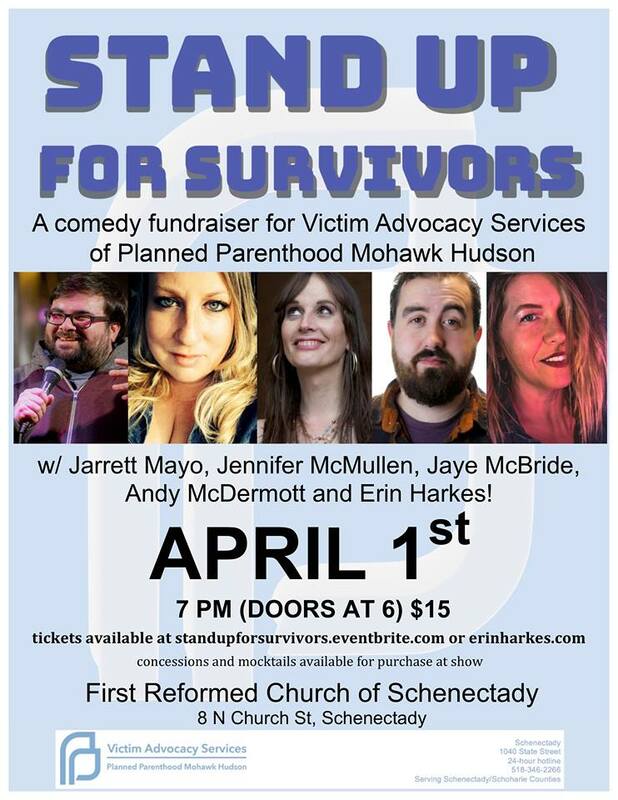 Join Victim Advocacy Services of Planned Parenthood Mohawk Hudson for Stand Up for Survivors, a comedy fundraiser for Victim Advocacy Services, with Jarrett Mayo, Jennifer McMullen, Jaye McBride, Andy McDermott, and Erin Harkes. This event will be held at the First Reformed Church of Schenectady. Doors open at 6 pm, and the show starts at 7! All proceeds benefit the Victim Advocacy Services program.